We all know that the demise of superstar Sridevi was one of the most shocking things that happened in 2017. Many of her well-wishers, family members and even fans from the fraternity have shared their thoughts and tributes in their own way. 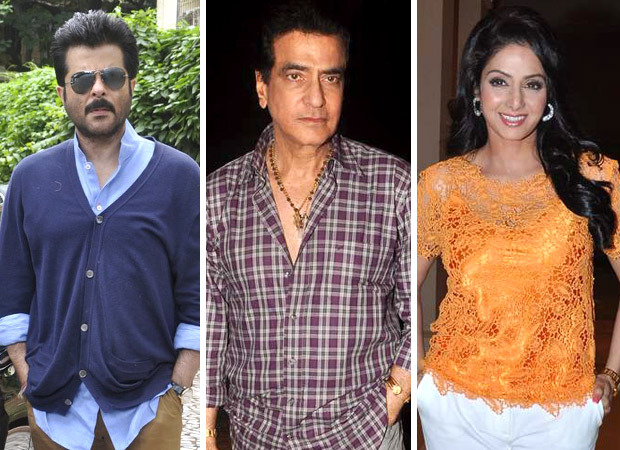 But we will see veteran actor Jeetendra and Anil Kapoor who will pay a special tribute to their favourite co-star Sridevi on national television. We hear that the show Dance Plus, which has choreographer-filmmaker Remo D’Souza as the chief guest, will feature Jeetendra and Anil Kapoor in the forthcoming episodes as their guests on the judging panel. During the show, it is being said that the makers have decided to do a short relay of sorts in memory of the late superstar Sridevi, who has given iconic films like Sadma, Chaalbaaz, Judaai amongst others. The said relay includes sequences from films featuring the two actors, Jeetendra and Anil Kapoor. For the uninitiated, Jeetendra and Sridevi have been co-stars for over a handful of films like Tohfa, Aulad, Himmatwala, Balidaan, Mawaali, Ghar Sansar amongst others. On the other hand, Sridevi and Anil Kapoor have been a popular couple of the 90s and some of their hits include films like Mr. India, Laadla, Lamhe, Judaai, Mr. Bechara, Roop Ki Rani Choron Ka Raja amongst others. Considering the same, it seems that Dance Plus organizers decided to turn nostalgic and revive these popular films that featured India’s most popular female superstar. On the other hand, contestants too have decided to be a part of their tribute. It has been learnt that the participants of the dance reality show have put up performances based on the songs from these films which features these actors. However, more details are yet to be revealed. Dance Plus is currently in its fourth season and features dancing stars Shakti Mohan, Dharmesh Yelande, Punit Pathak as the masters who teach dance to these contestants. The show airs during the weekend at the prime time slot of 8pm.